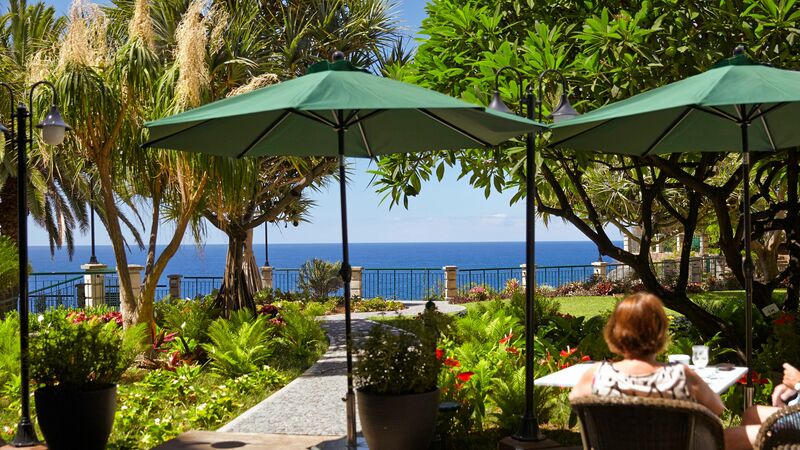 The Cliff Bay is a sophisticated five star hotel nestled amidst immaculate tranquil gardens and overlooking beautiful Funchal Bay from its enviable clifftop location. 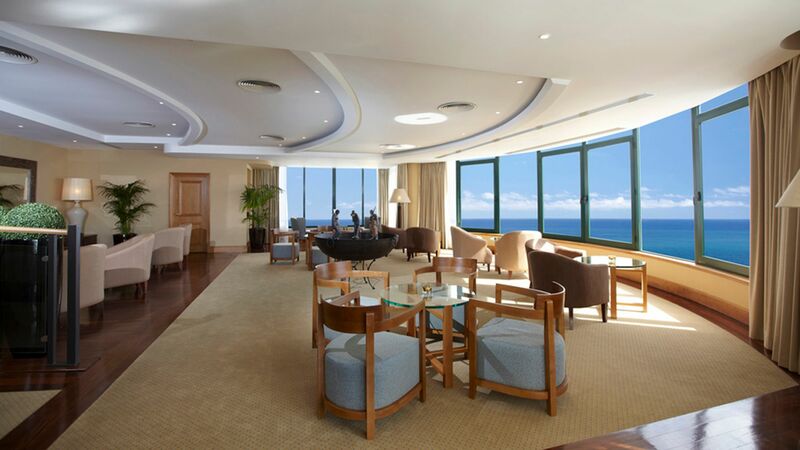 Enjoy first class service and panoramic views of the island as you indulge in the finer things in life. Gourmet Michelin star dining is the jewel in the Cliff Bay’s crown, featuring culinary delights in elegant surroundings with pure attention to detail. Guests will also enjoy indulging in special treatments and massages at the luxury Spa. The Cliff Bay is popular with couples and families and the hotel offers a range of extensive, contemporary rooms and suites with a private balcony and exceptional views of the sea, gardens or bay. There are also family and interconnecting rooms available. Enjoy direct access to the sea via the bathing platform as well as a the swimming pool and sun terrace where you can fully immerse yourself into holiday mode. Hotel child prices apply to ages 2–12 years. Specially modified rooms for people with reduced mobility are available on request. Take in the fresh sea air on the terrace beside the main swimming pool as you enjoy barbecue dishes, light bites and salads from the a la carte menu. Recharge after a swim in the pool or a visit to the spa, with a refreshing juice or light meal beside the indoor pool. 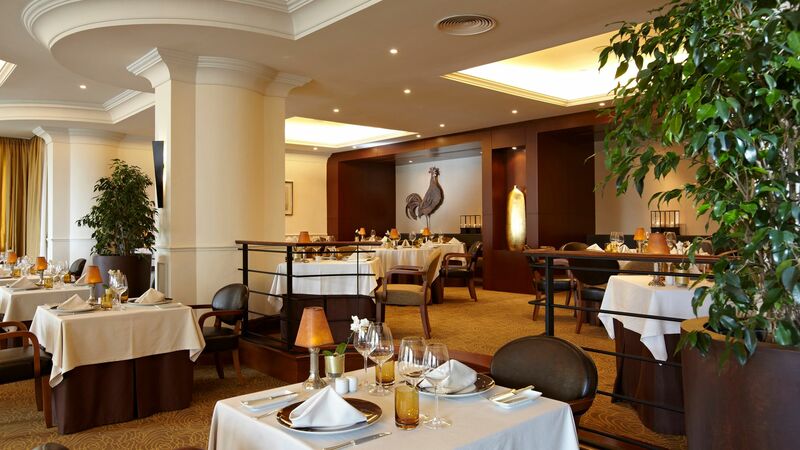 Guests can enjoy breakfast and dinner at the only two Michelin star restaurant in Madeira. Sample aromatic Iberian and Mediterranean dishes with a twist using fresh ingredients from the island, in a sophisticated and intimate dining area. Gentlemen must wear jacket and tie. No shorts or denim are allowed. Reservations are required. Open from morning until the late evening, Le Cliff Bar and Bistro allows guests to socialise with a morning coffee or enjoy lunch in the bar or on the terrace in a relaxed and inviting setting. Afternoon tea is also on offer and live music is available daily. 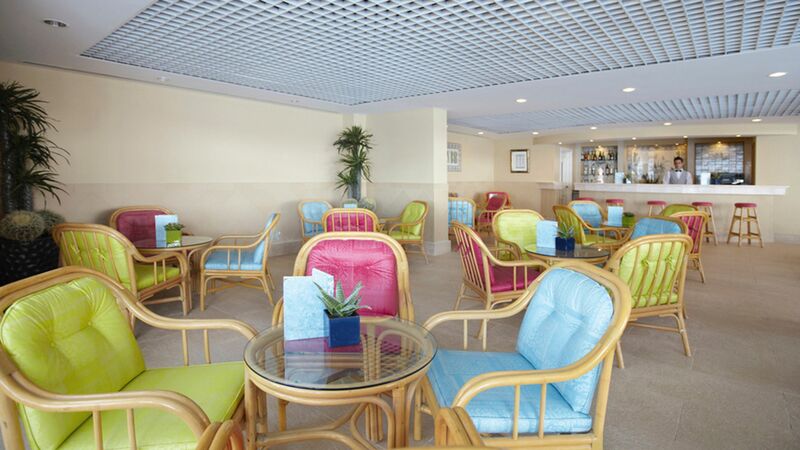 Sit with a good book and enjoy stunning sea views in the relaxed, comfortable and tranquil lounge area. Sample breakfast, themed dinners and a variety of inspiring international cuisine at the Rose Garden. 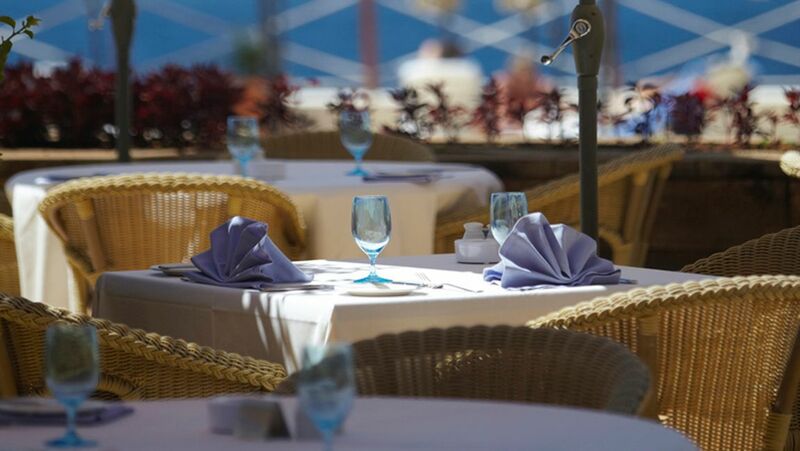 Enjoy al fresco dining on the terrace overlooking the sea and gardens and taste a la carte and buffet dishes, including seafood, Italian, Portuguese and Mediterranean specialities. No shorts or flip flops are allowed. Reservations are required. Meals at this restaurant are available for Bed & Breakfast, Half Board and Full Board guests. Choose from an outdoor and indoor seawater swimming pool, both of which are located at sea level, or enjoy the Jacuzzi and solarium. Guests at the Cliff Bay can enjoy direct access to the sea via the bathing platform, or simply soak up the sun and enjoy the view. Guests can enjoy eight treatment rooms, a wellness area and beauty salon, in addition to a fitness room and hairdressers. It’s an oasis of calm and pampering essential for holiday time. A Jacuzzi, hydrobath, sauna and Turkish bath await as you select from massages, body wraps and facials. 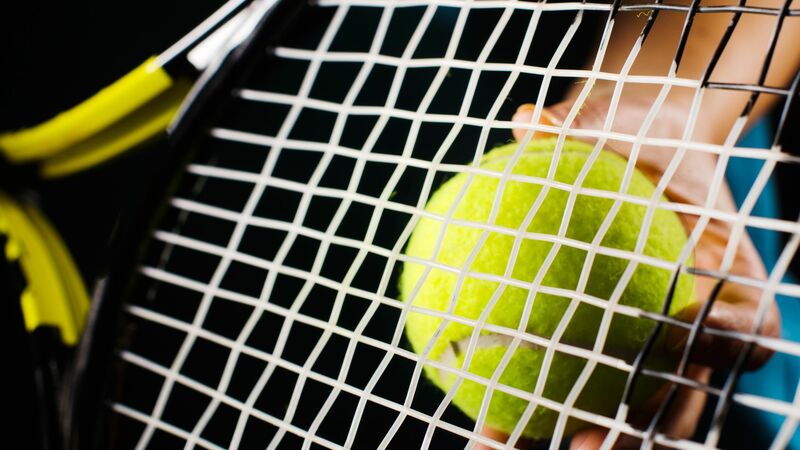 Guests can visit the tennis courts in the sub-tropical gardens to perfect their skills, or check out table tennis and billiards. Younger guests can have their own fun in the sun while enjoying playing on the swings and slides in their own private play area. 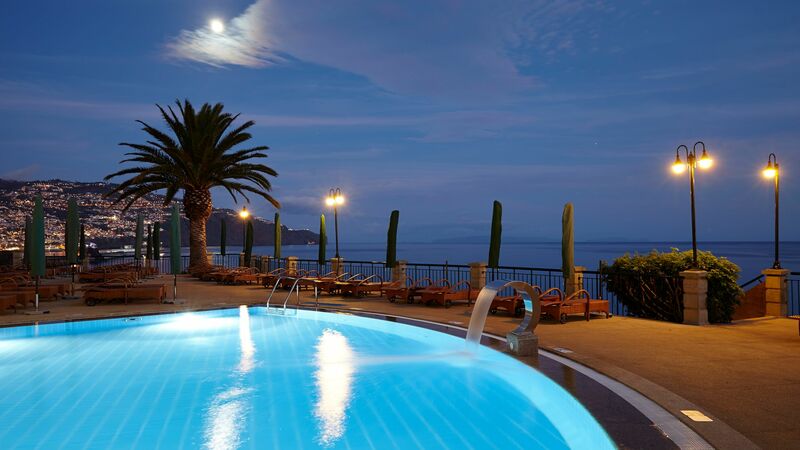 The Cliff Bay is located in a prime position on a clifftop just two kilometres from Funchal town centre. A complimentary shuttle bus runs to Madeira’s colourful capital which effortlessly combines the old and new. Explore cobbled streets dotted with fascinating shops, cafés and restaurants and be sure not to miss the spectacular 16th century Cathedral with its stunning wooden ceiling. Beautiful botanical gardens, museums, parks and galleries are found in Funchal’s Old Town, and in Spring guests can visit the pretty flower markets and Farmers’ Markets. Head to the Marina in the evening and enjoy swanky bars along the waterside where you can sit and watch spectacular sunsets. There are also two small black sand beaches, if you fancy catching some rays. The Cliff Bay is 30 minutes from Funchal Airport. Twin Rooms are elegantly decorated and offer a seating area and queen sized beds. The rooms also offer a balcony with table and chairs and has side sea views and the en-suite bathrooms are supplied with Rituals® products and feature a separate bathtub and shower. Twin Rooms are elegantly decorated and offer a seating area and queen sized beds. The rooms also offer a balcony with table and chairs and has full views of the magnificent sea and the en-suite bathrooms are supplied with Rituals® products and feature a separate bathtub and shower. Twin Rooms are elegantly decorated and offer a seating area and queen sized beds. The rooms also offer a balcony with table and chairs and has views of the sea and Funchal. The en-suite bathrooms are supplied with Rituals® products and feature a separate bathtub and shower. Superior Twin Sea View rooms are modern in design and offer a balcony with table and chairs. Guests receive fresh fruit, wine and flowers on arrival and also have exclusive access to the Il Gallo D'Oro restaurant for the à la carte breakfast. The en-suite bathrooms are supplied with ESPA products and feature a separate bathtub and shower. This room has views of the sea and has a minibar offering complimentary water, juices and soft drinks. Superior rooms are located on floors 6 -9. 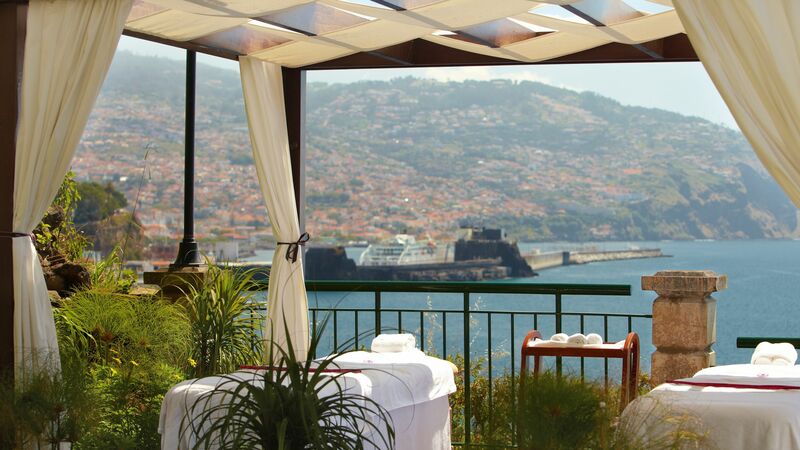 Superior Funchal Bay View Rooms are modern in design and offer a balcony with table and chairs. Guests receive fresh fruit, wine and flowers on arrival and also have exclusive access to the Il Gallo D'Oro restaurant for the à la carte breakfast. The en-suite bathrooms are supplied with ESPA products and feature a separate bathtub and shower. This room has views over the bay of Funchal and has a minibar offering complimentary water, juices and soft drinks. Superior rooms are located between floors 6 -9. Junior Suites Sea View are perfect for relaxation, offering queen sized beds, a separate living area and a private balcony with table and chairs. Guests will receive fresh fruit, wine and flowers on arrival and have exclusive access to the Il Gallo D'Oro restaurant for the à la carte breakfast. The room also has a minibar offering complimentary water, juices and soft drinks. The marble bathroom has a separate bathtub and shower and offers ESPA products. The Executive Suites offers the ultimate in luxury with guests being treated to a separate bedroom with two queen sized beds, an en-suite bathroom with a hydro-massage bathtub and ESPA products. The suite has a guest bathroom and a separate living room with sofas and dining table and chairs. The Suite also enjoys a balcony with table and chairs, a minibar offering complimentary water, juices and soft drinks and fresh fruit, wine and flowers on arrival. Guests can also enjoy exclusive access to the Il Gallo D'Oro restaurant for the à la carte breakfast. Interconnecting Rooms consist of two Twin Funchal View Rooms. Twin rooms are elegantly decorated and offer a seating area and queen sized beds. The rooms also offer a balcony with table and chairs and the en-suite bathrooms are supplied with Rituals® products and feature a separate bathtub and shower. Sovereign guests will receive 1 bottle of house wine in their room on arrival and a complimentary breakfast in bed for two on holidays until 30 April 2020. The hotel is exactly as described, from the moment you arrive the relaxation begins. Checking in was seamless and the staff could not be more polite or helpful and our room was spotless and very comfortable. We opted for B & B and found a really good choice at breakfast, if I had a gripe it would hotter coffee. The pool area is excellent and the staff happy to bring drinks to you wherever you are. We will definitely be returning in future. We had a fantastic stay for one week at Cliff Bay. The staff was very serviceminded and always friendly. The restaurants and bar are first class, meal and beverages are very good and the breakfast excellent with huge choice. Excellent indoor- and outdoor facilities with a pretty parks. We wish to come back again! “ "Runs like a Swiss watch"
Having just returned from a week at the Cliff Bay, may I take the opportunity to offer our thanks for what has been a fantastic stay. The CB is without doubt one of the finest hotels we have stayed in and offers great value for money. From arrival and check in we were treated to the upmost courtesy, professionalism and friendly service from all the staff. We were on the 4th floor which gave a great view of both the ocean and the harbour, which meant we could watch the cruise ships docking. The rooms are very well equipped and a good size. Being full board meant we were able to experience three great meals each day. The breakfasts were excellent and covered all dietary requirements with a very good menu for lunch. Dinner is served in the main indoor dining area with the option of being seated outdoors or under a glass covered extension. The buffet was varied with excellently presented food, with a "themed night" on a couple of meals. With 2 large pools (1 being an indoor/outdoor heated pool) along with the ocean makes swimming very enjoyable, whilst the outdoor jacuzzi offers relaxation. A number of deck areas means privacy and quiet can be sought. We can't praise the staff highly enough for the manner and service we received. Barbara, Debora, Rita, Alexander and the house keeping lady ( happy and always singing) are a credit to the hotel and ensure the hotel ethics and reputation are met. Will definitely return. Our first stay at the Cliff Bay but we enjoyed it greatly. We had a top floor room with Funchal bay view which was excellent for the morning sun, and watching the cruise ships arriving and departing. The room was very large and very comfortable, with good mini bar and tea and coffee, and complimentary fruit and a bottle of madeira when we arrived. They also provided - unasked - a bottle of champagne and a chocolate cake on my husbands birthday. 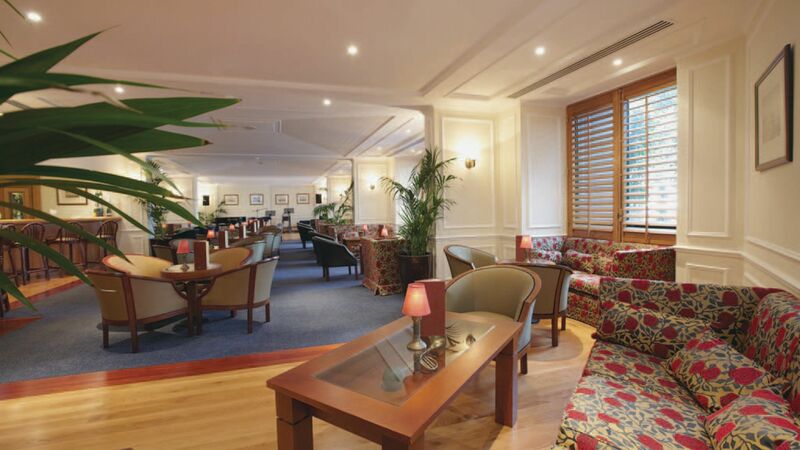 The public areas of the hotel are beautiful, including the bar and the terraces and gardens. The breakfast was the best I've ever had, particularly in the Rose Garden where the buffet is a thing of wonder, especially the tropical fruit. We ate dinner once in the Rose Garden, on seafood and fish night, which was ok, and we ate once in Il Gallo d'Oro which was quite an experience although extremely expensive. We enjoyed the live music in the bar a couple of evenings. The only disappointments were that the weather was quite cool and very windy so we didn't get to use the pools as much as we had hoped, and one day we had lunch on the terrace outside the bar and it wasn't very good. The staff throughout the hotel are well trained, charming and helpful. We walked everywhere, its a half hour stroll to the centre of Funchal, but there are always taxis available at the hotel and throughout town. We enjoyed levada walking twice, and went to two classical concerts during our stay. The location of this hotel is ideal, not too far from the centre and right by the Atlantic Ocean where you can swim. The breakfast was amazing with a huge choice and beautiful views. The staff is very polite and helpful, we were upgraded to a sea view room. There are lots of activities organised by the hotel including free Madeira wine tastings on Wednesdays but you need to book as it is very popular. The spa is very good too with a sauna, steam room, jacuzzi and swimming pools. I had a massage there and it was excellent (thank you Marina!) Lots of good restaurants near by? We’ll definitely stay in this hotel when we travel next.